Giveaways and contests are a fantastic way to boost engagement, drive traffic and find new visitors and customers. Facebook giveaways or contests are great for increase awareness and getting people talking about your brand. There are plenty of different examples of businesses that have been able to grow their e-mail list, social media accounts, and sales running a Facebook giveaway. Creating the perfect Facebook giveaway or contest doesn’t have to be hard. There are proven tactics you can use today, no matter how large or small your reach is, to drive traffic, attract new fans and followers, capture leads, and generate sales. If you ever get that feeling that no matter how many awesome photos, tantalizing questions, or hilarious memes you post on your Facebook page, you’re not getting enough engagement try to run a giveaway following the tips below. Before you begin promoting decide what you want to accomplish from your Facebook giveaway. Are you trying to generate traffic for your website? Are you trying to get more people signed up for your newsletter? Do you want to increase brand awareness or highlight a new product? Perhaps you just want to boost the number of Likes on your Facebook page. It’s a good practice to set more than one goal or to have a primary goal and one or more secondaries. Without goals, you won’t have a direction, and it’s going to be way harder to succeed. Have a goal in mind because it will help influence all the aspects of your giveaway. A great prize is one of the most important aspects of your Facebook giveaway in order to succeed. The prize is good to be something relevant to your business. For example, many businesses will give away something like a free iPad. Although most people would love to have a free iPad, this prize attracts too many people, many of which may have no interest in your business. By picking a prize relevant to your business, like a product or a service you sell, a gift card, or even a cool experience your giveaway will attract people who are interested about your business. Your giveaway also needs to suit your goals, your ask from entrants, and your budget. If your goal for example is to get more Facebook Likes a popular prize like an iPad or a gadget maybe it’s good idea. Also one of the goals of your giveaway or contest is likely to increase awareness about your business. So make sure your giveaway and prize is brand related. Violating any of Facebook’s rules will result in your contest, and possibly your page, being shut down. Being transparent with your participants should be important to you. You may have specific legal concerns and constraints to consider and that requires professional legal council. My suggestion is that you have your legal people check your promotion’s rules and guidelines before you publish your contest. You want to grab the attention of the easily distracted Internet users, you want to fill out your form and enter your Facebook giveaway. With so many information online today you have only a few seconds to make an impression. For inspiration check out our giveaway examples. Entrants will share the giveaway or contest with their friends on social media so you need to include an attractive photo or graphic for your giveaway to make it stand out. If you have more than one prize, include your grand prize in your giveaway image. Your giveaway’s design also needs to reflect your brand. Be sure to incorporate your logos and colors on your giveaway page, and make sure the theme is consistent. The same apply for the giveaway title. Write out a short, catchy title with a simple Call-to-Action (CTA). Include your prize, your business name, and SEO friendly words like “Giveaway”, “Contest”, “Competition” or “Win”. You want as many people to participate as possible, and the only way that’s going to happen is if you make it easy to enter. If you ask people to take multiple actions or require them to fill out long forms expect to see weak participation. Stats show that the more fields you ask users to fill out, the fewer entries you’ll receive. Ask for less information while still getting what you need. We see good success when businesses just asking people to fill out name, email and subscribe to a newsletter or optional to like a Facebook page. These things literally take just a few seconds to complete and it’s simple for you to track. Although we are talking about Facebook giveaways you have two options where you can host your Facebook giveaway or contest. One choice is to host it on your Facebook page as a tab and the second is on your website or blog. But which one is better? Both places have pros and cons. The biggest advantage of hosting your giveaway or contest on your Facebook page as a tab is that you don’t get users out of Facebook. Many users are unwilling to leave Facebook for a lot of reasons. For example maybe they are on the middle of a conversation. Keeping your giveaway on Facebook you get more trust and make your users to feel more comfortable and familiar. Using Woorise you also have a third option to host your giveaway on multiple places at the same time, for example on your Facebook page, on your blog and on your partner’s website. Users can enter and share the giveaway from multiple locations and this will double the chances for engagement. Facebook Tabs are not mobile friendly, this means that if you direct a mobile user to your tab they will see an error. A lot of business even the big ones run giveaways on custom Facebook apps ignoring to optimize it for mobiles. As a result they loose more than 50% of mobile traffic according to Google. In addition the average user isn’t aware of that functionality so they get a bad experience which can affect the image of your brand. Woorise uses a Smart Link to promote your Facebook giveaways which will send mobile users to an external mobile optimized landing page. Many businesses think that by giving away anything for free they will automatically get a flood of new visitors, email subscribers, Facebook likes and sales. Unfortunately, without a clearly defined goal and a solid marketing plan, this is hardly ever the result. The success of your Facebook giveaway depends on how well you promote it, using both free and paid options. That’s why we have created a dedicated post with the best tips on how to promote your giveaway or contest. Also once you’ve got your Facebook giveaway up, and promoted, keep track of your successes, and tweak your tactics to improve your results. Most of the times the participants gives a useful feedback. Once you’ve notified the grand-prize winner, consider how to make everyone else a winner, too. Email all entrants to thank them for taking the time to fill out your form, and give them a special reward. You could even offer everyone a small discount just for participating. When you send out the follow-up email, be sure to invite your participants to take part in your upcoming giveaway. Also, tell them about any other specials or new products your business has and offer other ways to stay connected for future freebies or giveaways like to follow you on other social media. Did the giveaway work to achieve the goals that you set? How many people visited your promotion? Of those who visited, how many actively participated? How many new Facebook Likes you get on your Facebook page? What type of content generated the most interaction (i.e. comments, likes on posts, shares)? How many users opted in to your email list? Did the giveaway helped to increase website traffic or sales? What was the overall feedback from entrants? Keep in mind that giveaways will require you to remain flexible, to move fast, to adjust, to test and to measure. When one fails, adjust and try again. Running regular Facebook contests is a great idea, and the return on investment is quite high. When deciding on how to create the perfect giveaway, consider factors specific to your company, brand, or product. 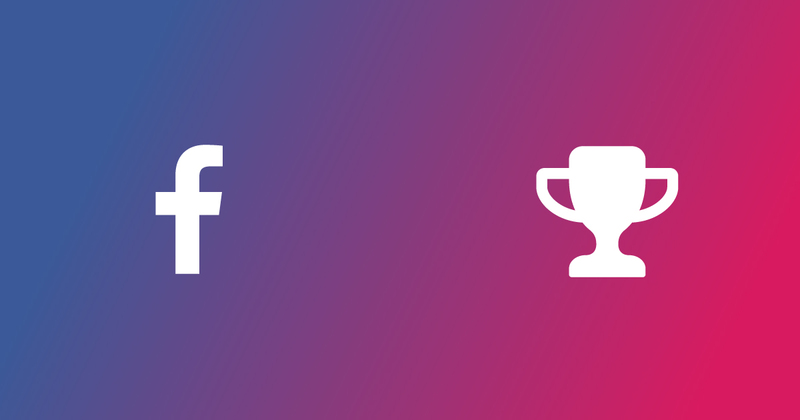 Each time you run a Facebook contest, you learn a little bit more about your followers and fans, as well as what motivates them to engage with you and share your contest. Use this information to fine-tune your efforts for the next time you host a giveaway. Have you run any giveaways on your Facebook page yet? Let us know your tips & tricks in the comments below.